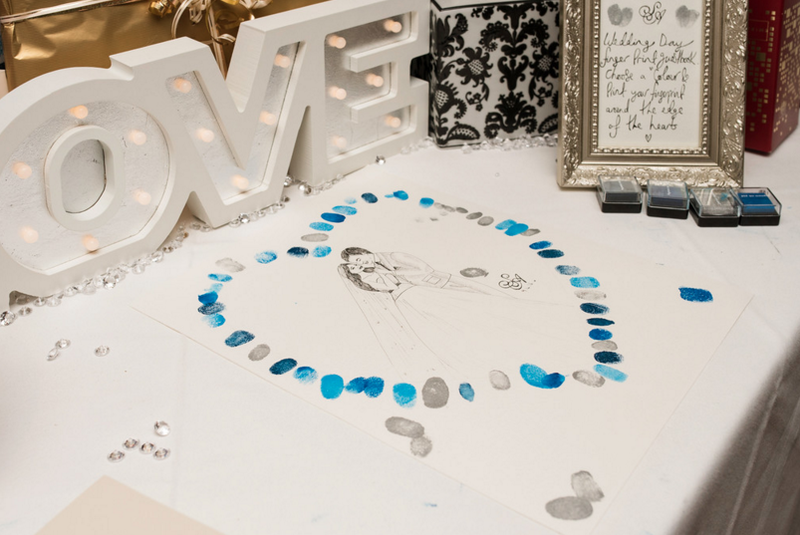 These have become really popular recently… In addition to the standard guest book people seem to thinking of something more creative like a thumbprint guest book picture? 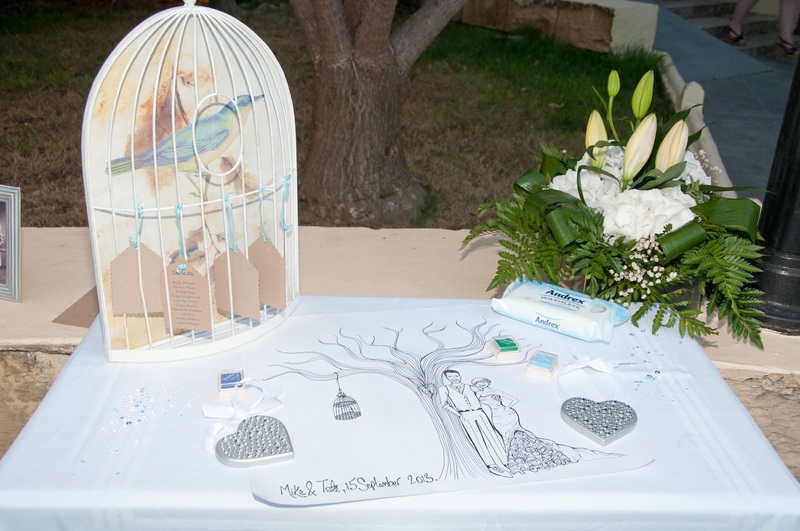 These are a unique addition to your special day or make an inspiring gift with a difference. 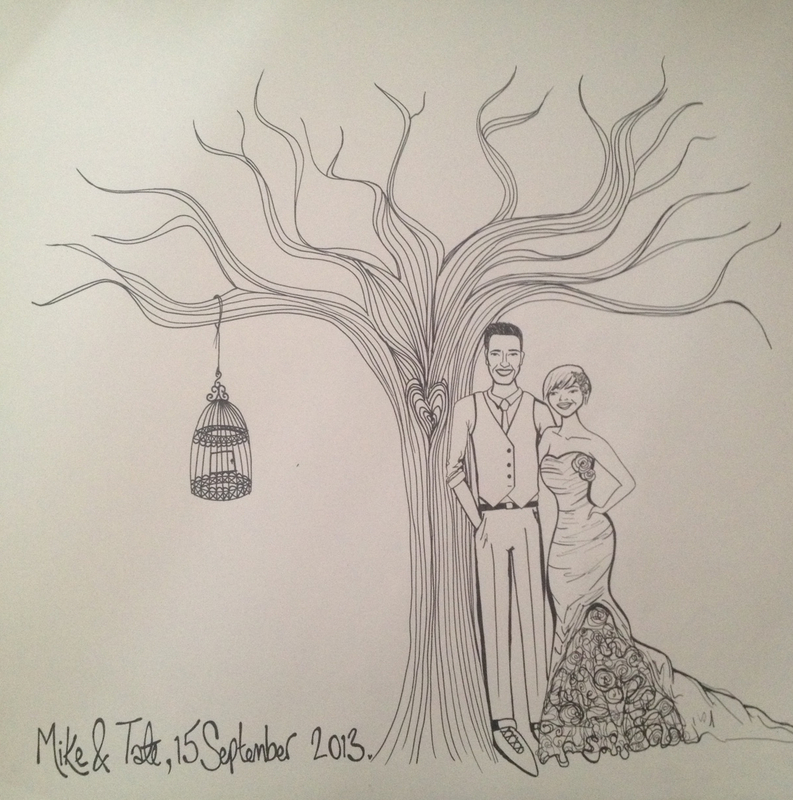 The Bride & Groom are left with a piece of art to remember their most special of days. 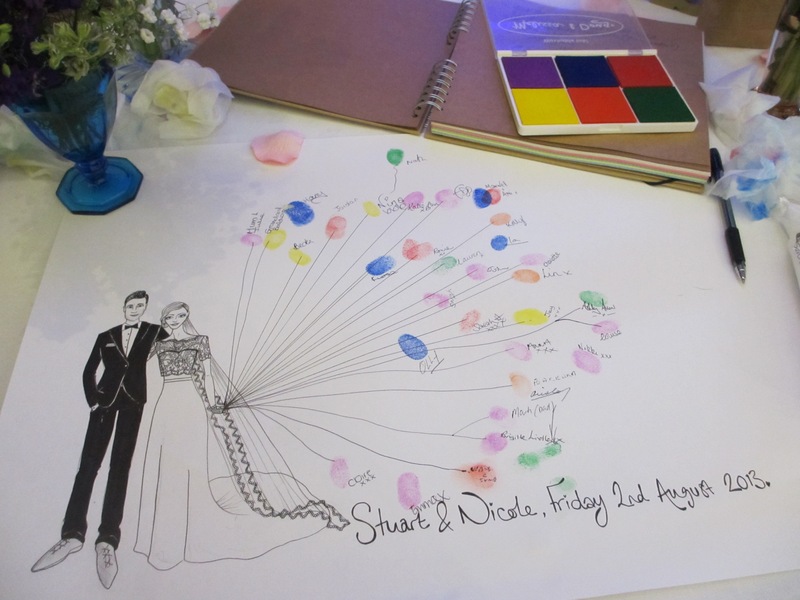 Recent popular designs have included thumbprints making up a bunch of balloons, a heart around the couple or even the leafs upon a tree. 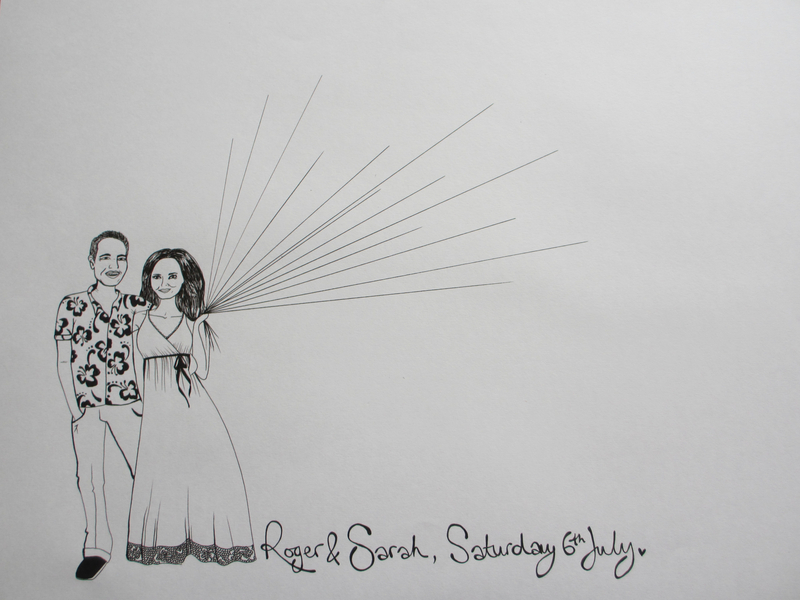 The couple will receive a large original illustration of the bride and groom either in wedding attire or clothes of your choice. You can also add your children and pets if you like! 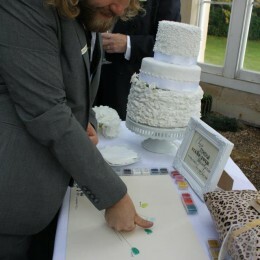 The date of the big day and the names of the bride and groom will also be added. 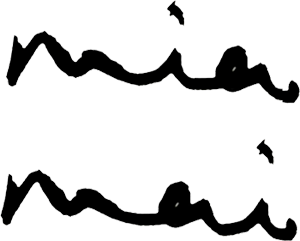 I can also provide you with a digital downloadable file with instructions if you’d like. 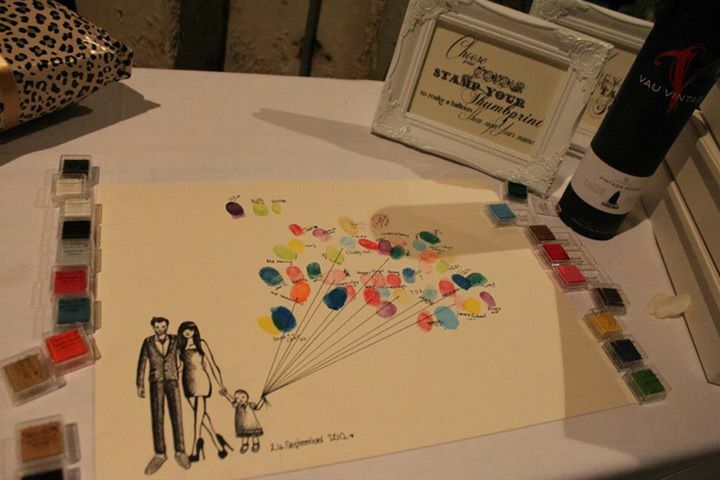 Ink pads can be purchased via the internet or through craft stores such as Hobbycraft. If you would like me to get these too the price will increase depending on what is required/brought. 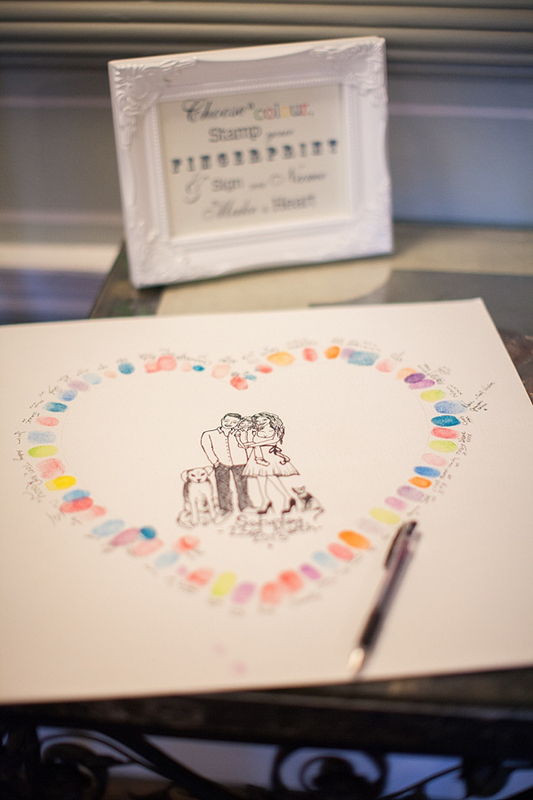 Wedding Thumbprint Illustrations cost £65 not including delivery. If you’d like to purchase one or have any questions please send me an email enquiry. Below is a few examples of previous commissions.